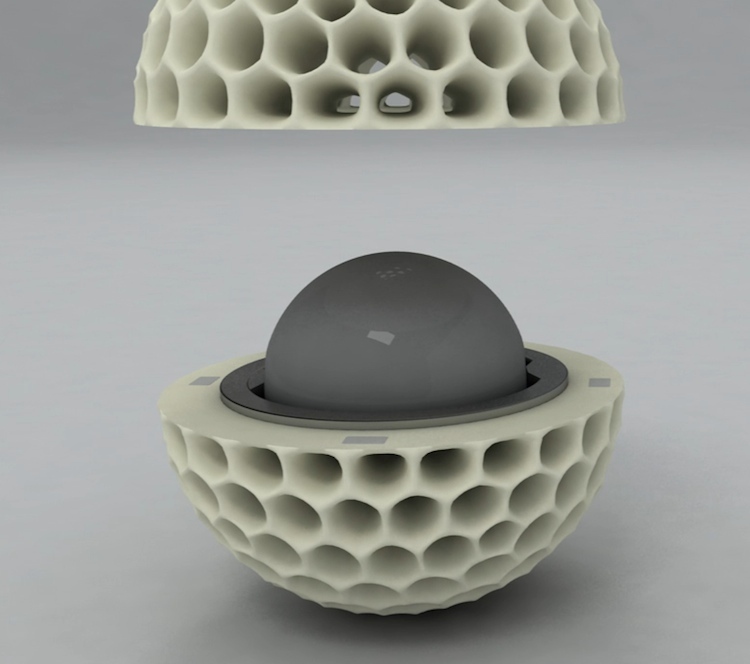 Dave Hakkens’s honeycombed spherical cleaning droid is meant to work in big public spaces, for which the Roomba is overmatched. What do you get when you combine Dyson’s “never too many prototypes” appliance-design philosophy with Roomba’s “never too many robots in the house” engineering? The Dust Ball, a cute, clutter-eating robot that looks like a futuristic vacuum crossed with a Tribble. 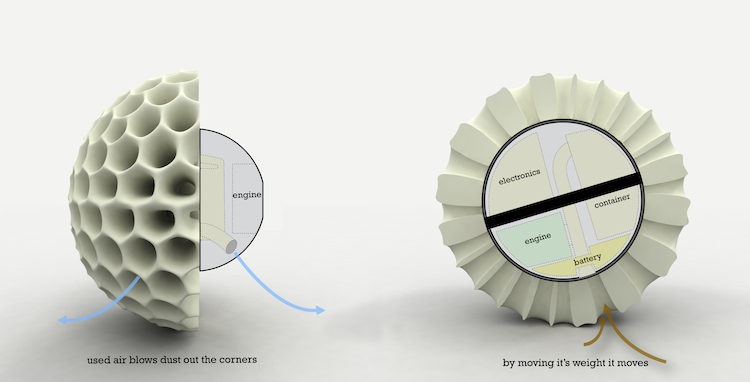 Dave Hakkens wanted to optimize his robot design for public spaces rather than homes, which Roomba already has covered. The trouble is that home appliances simply aren’t rugged enough to roll over cables or thresholds between rooms and corridors. 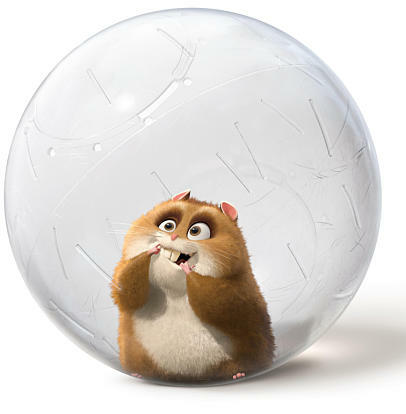 Hakkens says he needed something “strong, industrial, flexible… [but] I did not want to give it an industrial-robot appearance.” So he took inspiration from those clear plastic hamster-spheres instead. 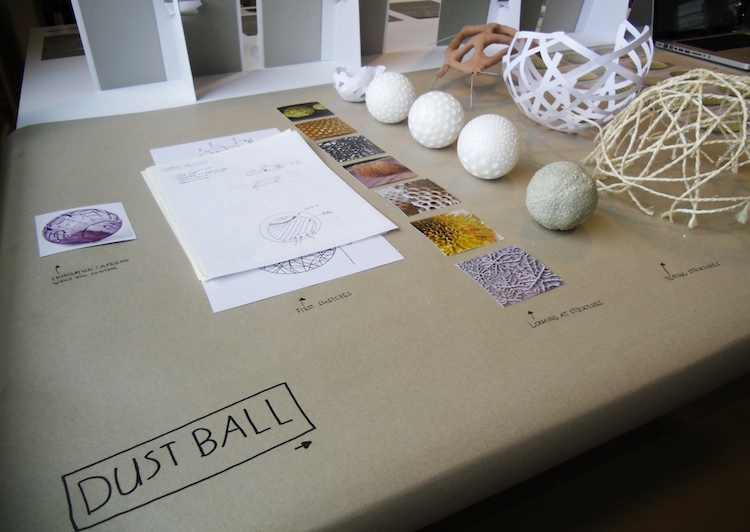 The Dust Ball works the same way as an old computer mouse does: a sphere inside is controlled on two axes so the ball can roll in any direction by shifting the weight of its internal components. The core also contains a removable dust container that the user can access by splitting Dust Ball in two (it’s held together by magnets). But Hakkens’s best idea was to make the outer shell strong and flexible enough that you can push, nudge or kick the thing out of your way if it gets underfoot. It’s wirelessly controlled so there are no cords to snap — and when its cargo of clutter is full Dust Ball rolls back to its charging station and glows so you know it’s ready to be emptied. Hakkens iterated quite a few versions of Dust Ball to get the size and pattern right. 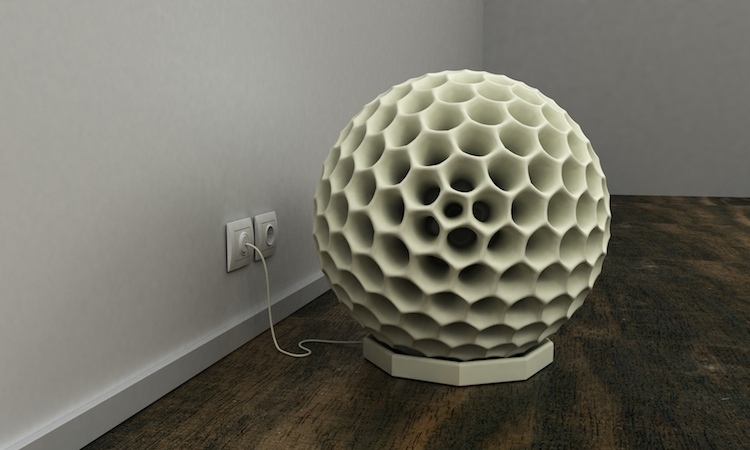 The honeycomb shell looks like it’d be great at sucking up anything from dust bunnies to empty soda cans. Hakkens’s decision to make it as large as a tumbleweed, though, could turn out to be a tad more impractical (and unnerving) in the field than he intended. 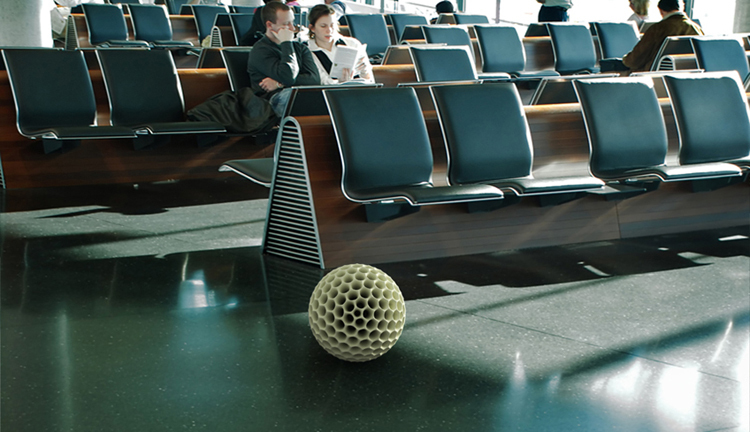 Right now Dust Ball is just a concept, so who knows if or when we’ll ever see these things rolling around airports and lobbies. But I bet they’d be great fun at the Fast Company office Christmas party in 2019.